Have a Drain That Needs to Be Unblocked or Cleaned? We Can Help! Hydro jetters are the most environmentally friendly to remove drain blockages because this method requires no chemical agents. Water sprayed into the drain at such a high pressure is much more efficient than any chemical we could use. 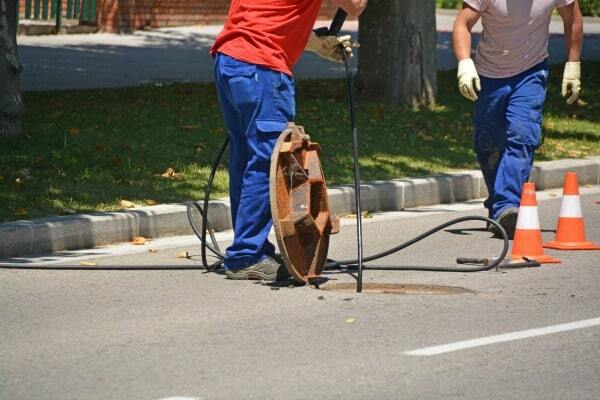 Because this is such an effective way to open drains, we equip all of our trucks with hydro jetters. The arrival of hydro jetters have increased a plumber’s ability to remove blockages in drains; while reducing the amount of time, effort, and mess that previously came along with opening or cleaning drains. What Type of Drains Can We Unblock? Hydro jetters are available in different sizes with varying amounts of pressure. The nozzle size varies from about six millimetres, up to 25 millimetres and is responsible for controlling the amount of water sent through the drain or the pipe. Most in-home jetting requires the smallest nozzle at around 400/PSI. In order to be ready for any size job, we at CBD Plumbers Perth, equip our trucks with all available nozzle sizes and jetters which are capable of spraying water at 4000 PSI / 63 litres per minute. As a point of reference, 2000 PSI would easily power the paint off of a car. As you can see, we are well equipped to clear away the nastiest of blockages in your drain or pipes. While there is still plenty of use for the electric eel type of drain cleaner, we find hydro jetters to be the most efficient way to clear a drain or pipe. Even after an electric eel cuts away clogs, a residue of debris remains on the walls of the pipe. 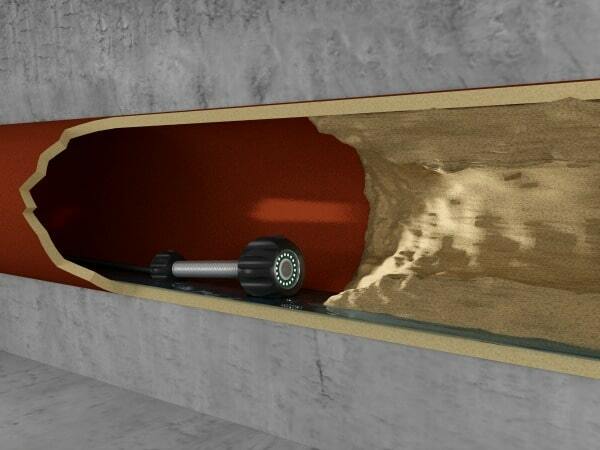 When a hydro jetter clears a blockage, all residue is powered away leaving a clean pipe. 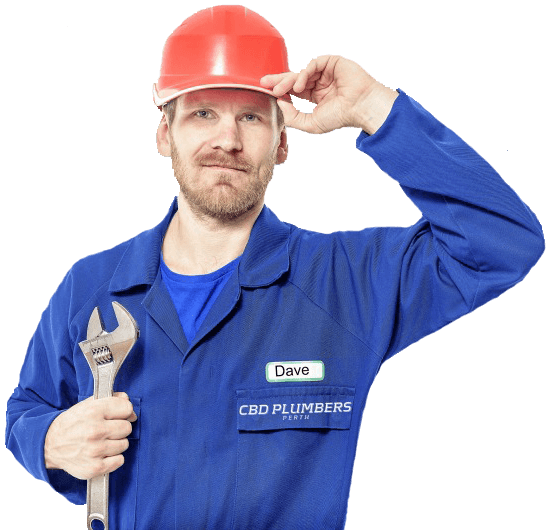 At CBD Plumbers Perth, our goal is your complete satisfaction. With more than 30 years in business, we have seen that the less we disrupt their homes or businesses, the more satisfied our customers feel. In order to be as effective and non-disruptive as possible, we use the latest high-tech equipment to diagnose your plumbing issues. The video camera for drain inspections is a valuable tool that allows our plumbing specialists to see clearly into your drain or pipes. The water proof camera is small enough to fit into a 5-centimetre drain and is mounted a flexible shaft that threads it into the drain and down the pipe. The shaft is malleable enough to manoeuvre around corners allowing a clear view of all parts of the drain. Once inside; the camera sends high definition video of the inside of the pipe to a monitor which our plumbing technician views. The monitor can receive the camera’s signal from up to 65 metres away, and this makes pinpointing problems much easier than it was in years past. Use of the camera eliminates the need to dig or break up concrete to find the source of your plumbing problems. Once the assessment is complete, our specialists will show you a recording of the camera inspection and explain the findings. Our customers say that they appreciate being able to see what is in the drain, and we appreciate being able to give the best possible service to our clients.